Where Exactly is Costa Rica? 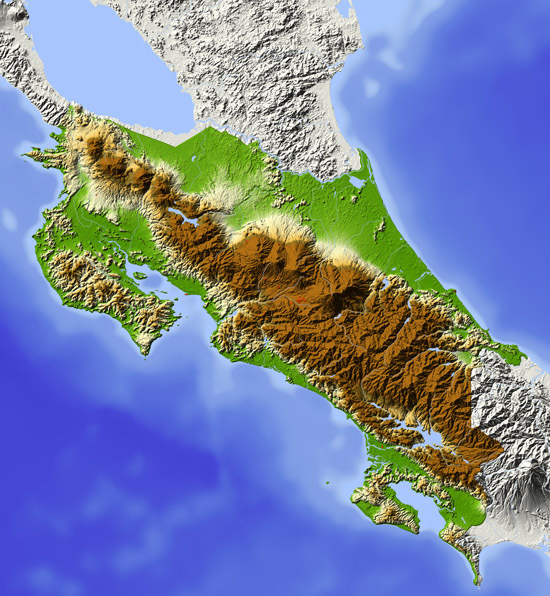 Costa Rica is located in Central America, which is between Mexico and South America. It sits above the equator with Nicaragua to the north and Panama to the southeast. Mountains mark the interior, where most of the famous coffee is grown. And the narrow shape of the country allows for easy access to both the Pacific Ocean and the Caribbean Sea. Visitors tend to travel around the most popular regions of the country. The diversity of landscape also provides an abundance of opportunities for adventure! Whether you enjoy partaking in activities or visiting attractions, Costa Rica will put your vacation on the map. 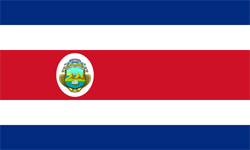 Flag of Cost Rica: five horizontal bands of blue (top), white, red (double width), white, and blue, with the coat of arms in a white disk on the hoist side of the red band.